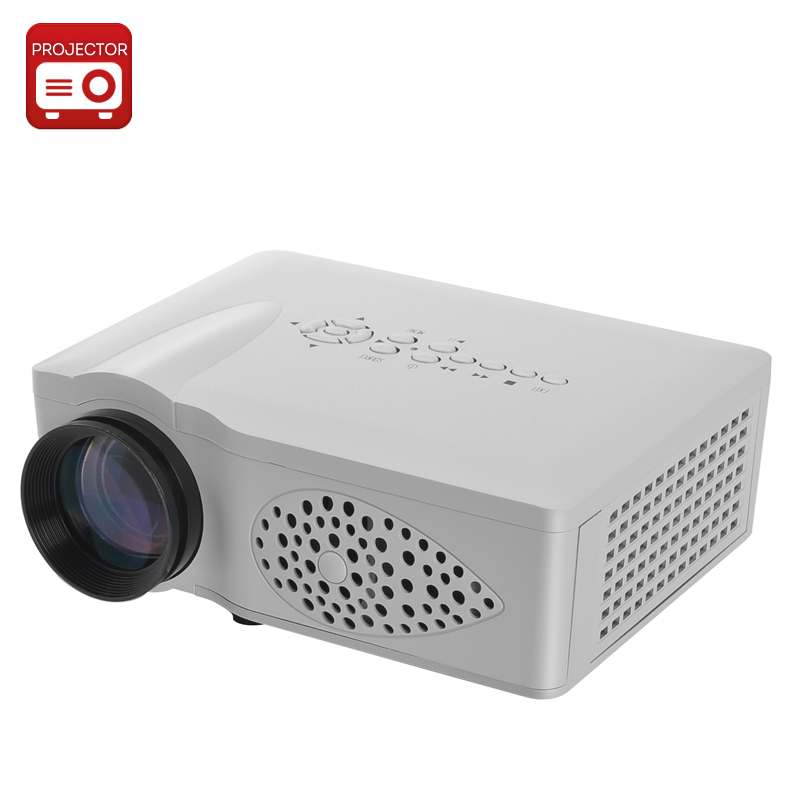 Successfully Added 750 Lumen LCD Projector - 45 To 125 Inches Image, 3.7 Inch Single LCD Panel, HDMI, VGA, SD Card, USB, AV, 800:1 Contrast Ratio to your Shopping Cart. With a native resolution of 800 x 480 and compatible with resolutions up to 1024x768 this portable mini projector is the ideal choice for home entertainment. Enjoy movies at home, connect it directly to your TV box, computer, or games consol and enjoy the perfect home cinema and entertainment system for all the family. With a 750 lumens nominal brightness and 16700 color range this mini LED projector uses a single 3.7 inch LCD panel to bring you images from 45 right up to 125 inches from 1.5 to 5 meters away. A sure fire way to entertain the kids or share the fun of film with all your family this projector supports all major video formats and has dedicated audio out as well as a built in speaker. Having a 20000 hour life span the lamp in this projector ensures a long life. all your media content will be displayed beautifully with the 800:1 contrast ratio and at 16:9 or 4:3 aspect ratios you have the right settings for both games and videos without cropping or distortion. This Mini LCD Projector comes with a 12 months warranty, brought to you by the leader in electronic devices as well as wholesale LED Projectors..